This collection finds inspiration from antique Turkish and Persian kilims, updating the vintage looks for today. 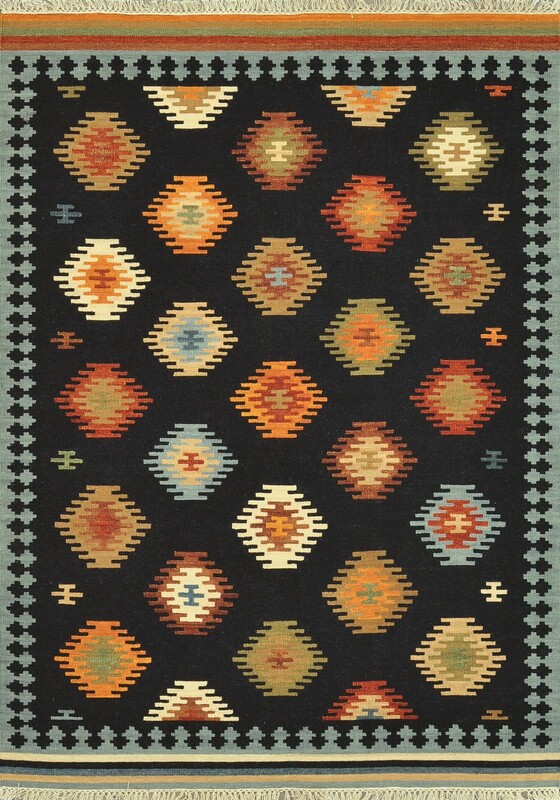 These reversible tribal and Southwestern looks maintain an antique, worn appearance, thanks to a meticulous coloring process. Made in India of 100% wool, it is a new classic for today.